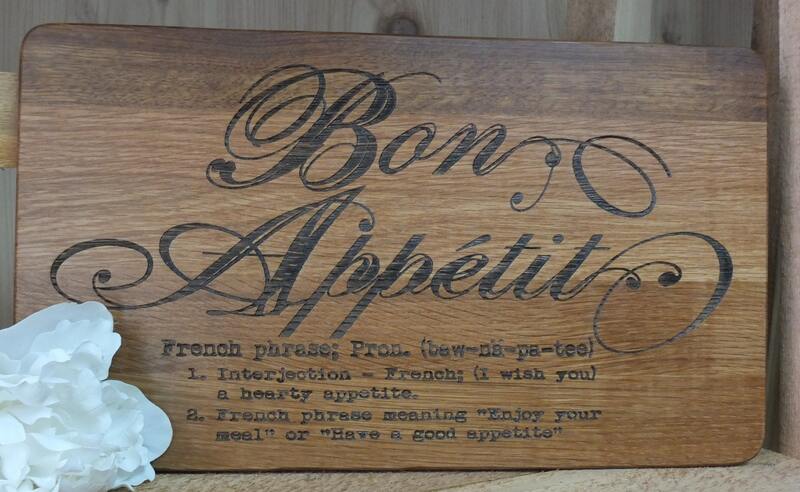 Unique Bon Appetit Cutting Board! Beautiful wooden kitchen decor item. Great housewarming or new homeowner gift. 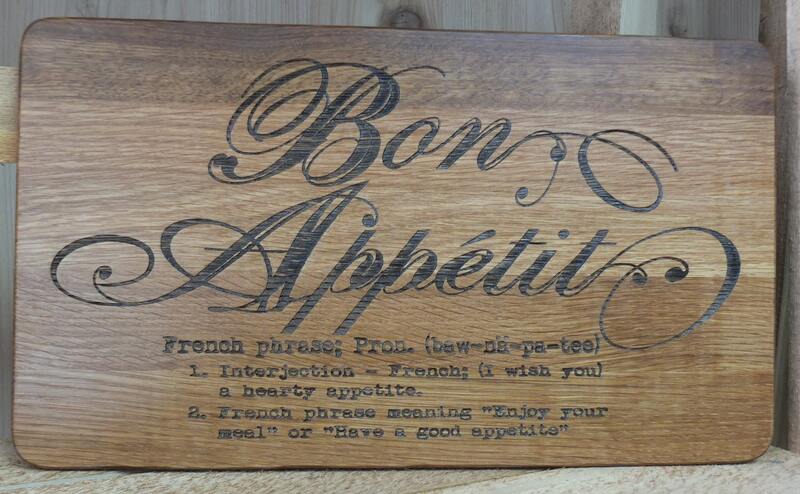 This beautiful cutting board reminds elegantly defines Bon Appetit on a beautiful, functional kitchen decor item. 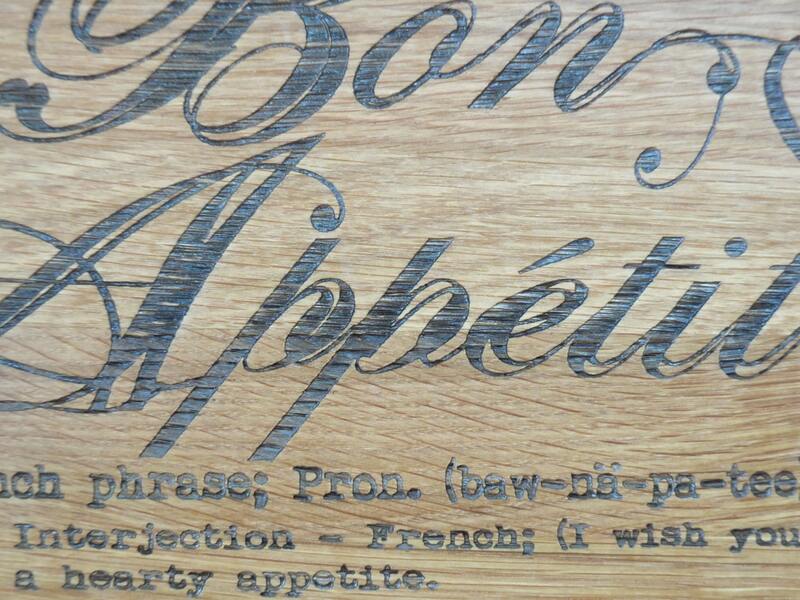 Laser engraving creates a beautiful contrast with the warm, quality hardwood cutting board. Request customization--we'll add a name for no extra charge! 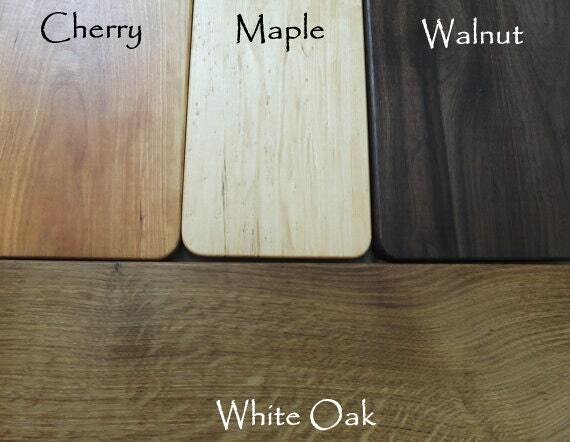 We use a laser engraver to create this products. The laser engraver produces an engraved surface that contrasts with the natural color of the wood, highlighting the engraving.